Jesus calls us to a life of servanthood. Servanthood isn’t just kindness–it’s a kind of selflessness that is only possible when we place Christ’s priorities at the center of our thinking. Somehow in spite of my good Christian upbringing, the part about true life transformation was lost on me when I was a child. Somehow, I internalized this idea that really living for Jesus was something that came naturally and eventually–like adulthood. Empathy is foundational to servanthood. I truly believed the desire to serve Jesus with my whole heart would just happen when I was a grown up. God had another plan for me and placed me in circumstances that woke me up to the excitement of following him early in my high school years. I hope for more for my children. I want them to know that they can make a difference in their world for Jesus right now and that serving isn’t something reserved for special occasions or for when they are older. With my own children at home, we try to make serving others a part of our everyday life and hope that they “catch” what is being modeled for them. How do you teach servanthood anyway? But how do you teach servanthood to children in a classroom setting? 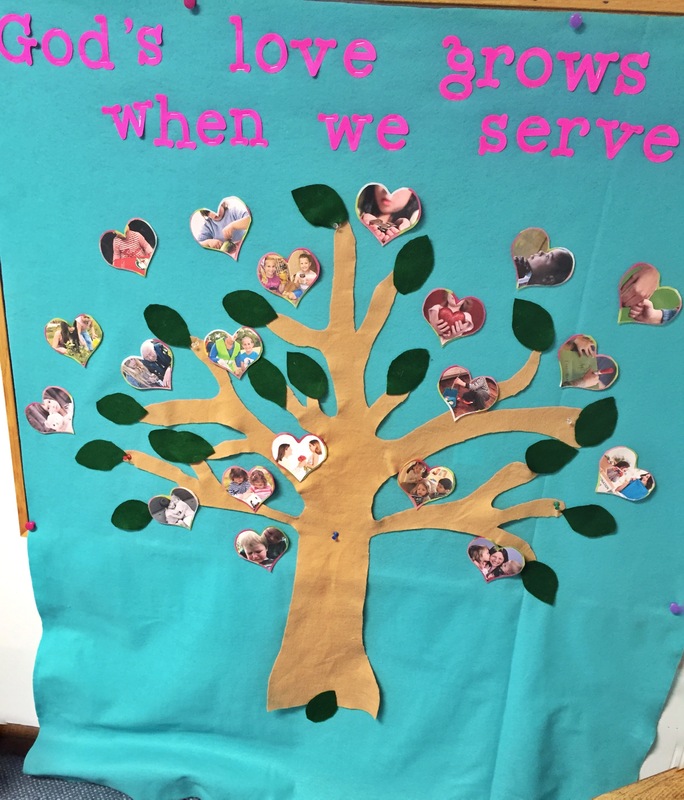 I teach the 3-5 year-olds at church and wanted to design some activities centered around servanthood that would invite the children to think about ways children (even them personally) can help others and show them God’s love. 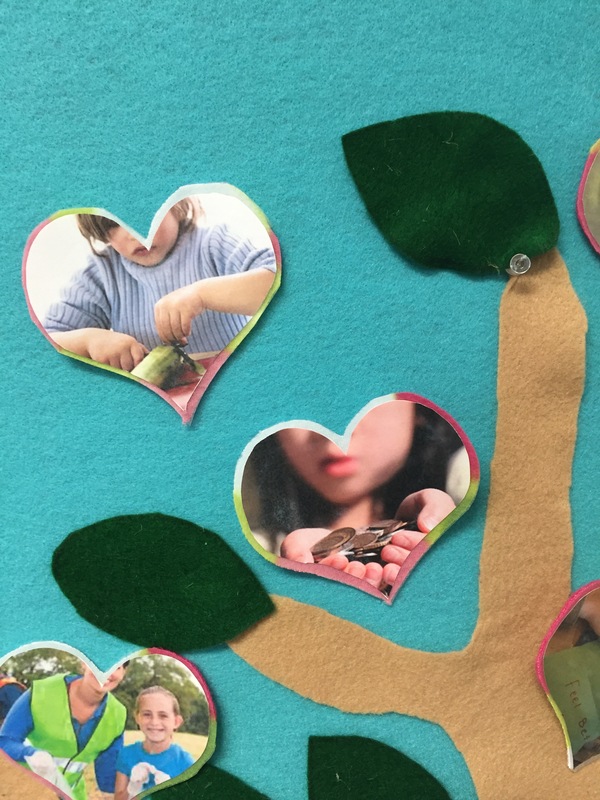 I had seen several posts on Pinterest about kindness trees where acts of kindness were written on pieces of paper and then taped to a large tree. I especially liked this one from toddlerapproved.com, I wanted to add a visual element particularly because I work with pre-readers, but also because I thought the pictures may spark further wondering and discussion. One of the major building blocks to servanthood is empathy. I wanted to show the children pictures of CHILDREN LIKE THEM serving others in a variety of ways beyond what they had done themselves. The heart shapes make you have to guess a little about what is happening in the photo. I like that little bit of ambiguity so that they have to think about what may be happening in the picture. 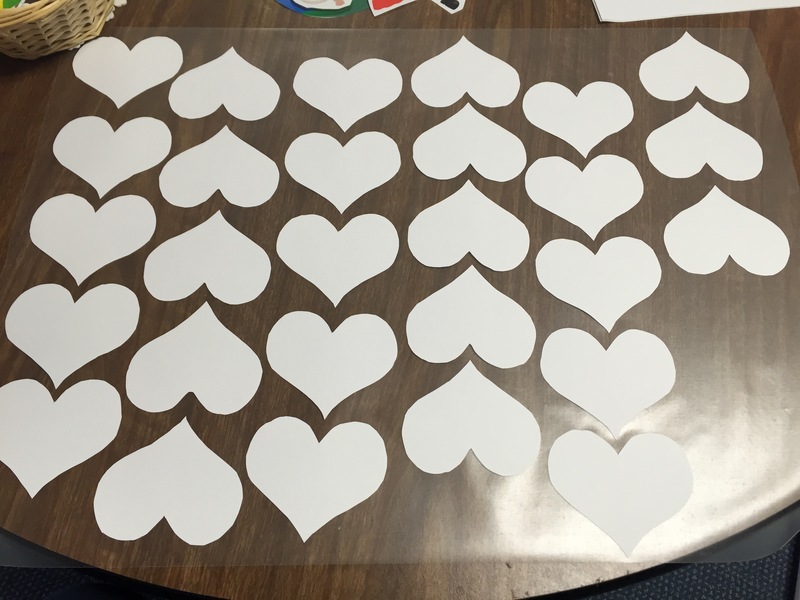 To make the hearts for the tree, I googled images of children being kind, comforting others, serving, sharing, and other related terms until I felt like I had a good representation of the topic. I would share them here but I am pretty sure that violates fair use of images. 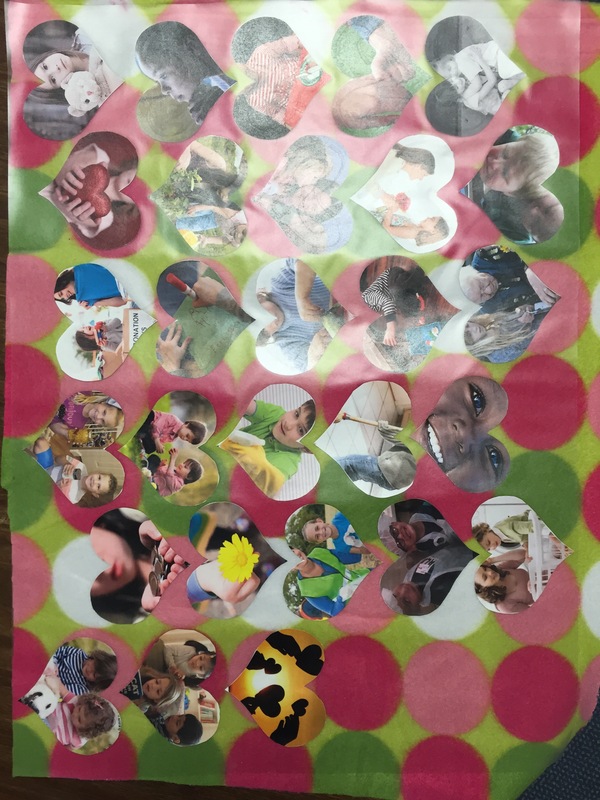 I then created a document of Photoshop that placed the images into heart shapes. I printed the images on cardstock and cut them out. I then placed the images face down on a sheet of contact paper, see below. I then cut a piece of flannel/ fleece to fit the size of the contact paper. In order to get the heart shapes to attach to the fabric, I dabbed tacky glue all over the backs of the heart shapes. 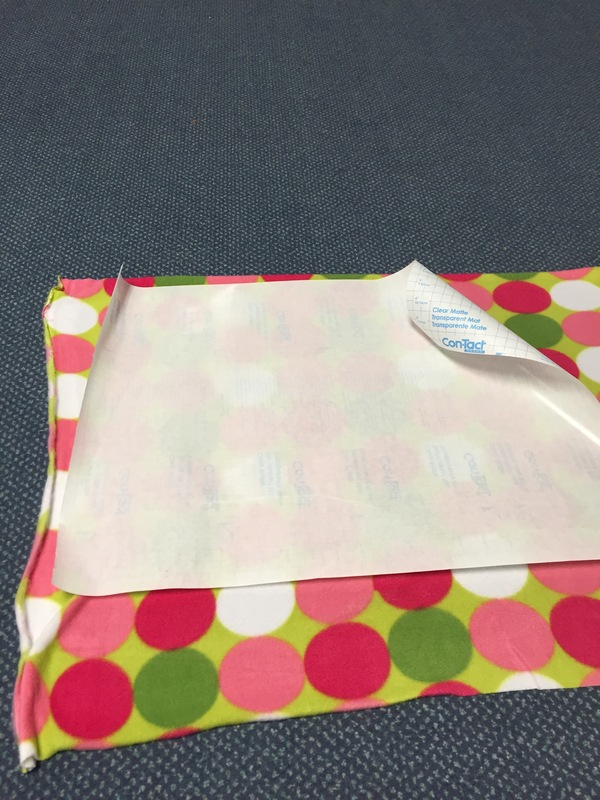 I then placed the fabric over the contact paper. The stickiness helped to hold the fabric in place so I could cut around the individual hearts. At this point, I considered taking the contact paper off the front of the hearts and I may still do that. I am not perfectly happy with the plasticky front side. Here is a close up of a couple of the hearts stuck to the tree. 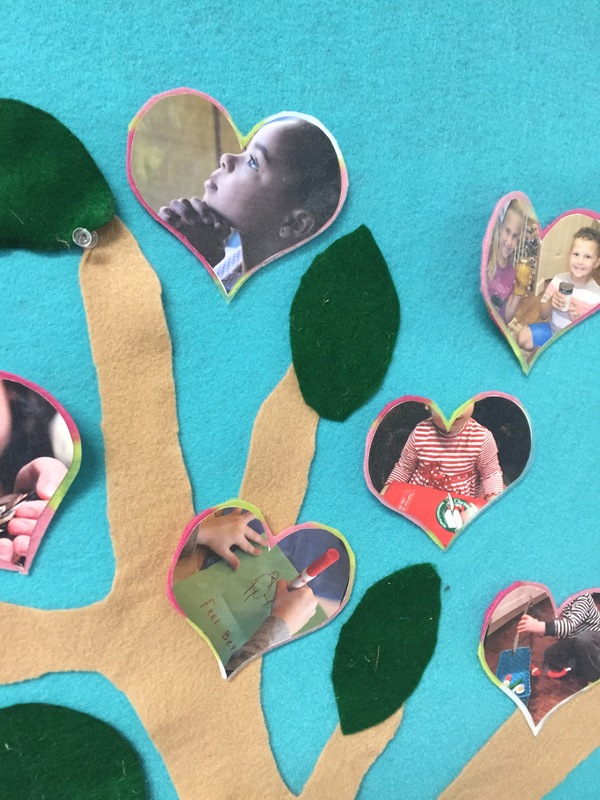 Here are some of the ways we used these pictures and our serving tree in our lesson series. We left the leaves and heart shapes out in a basket by the tree for the children to explore as one of their learning options. A few of them enjoyed the process of putting the pictures on the tree and taking them back off. Many of the children enjoyed the process of guessing what was happening in the picture and when more than one child was at the tree I overheard discussion about the pictures. We ended up incorporating the pictures into several of our lessons in the series. The children enjoyed taking a picture out of the basket, telling about what was happening in the picture, and then adding it to our story. As the children became more familiar with the pictures, I began to help them connect what was happening in the pictures to their own lives by saying things like, “this boy looks like he is sharing his toys, I wonder if you can remember a time when you shared your toys.” or “this little girl looks like she is collecting food, I wonder who she will give the food to. Our church’s mission/theme is “Serving Jesus Together, Following Jesus Wherever” and I have worked to trickle this theme down to our littlest learners by combining the ideas of teaching about missions with serving in our every day lives. Here is my Pinterest inspiration board for Go!Serve!Love! Hope you find some inspiration there. What are your brilliant ideas for teaching children servanthood? How about empathy? I would love to hear your ideas for helping children know that God has created them with great purpose!